A series of works that explore ideas around the materiality of paint; its voluptuous, visceral, body-like character in relation to the inherently intangible nature of the digital. I Killed a Viper is an exhibition of new paintings by the recipient of the 2013-14 Jessica Wilkes Award, Clare Price. Price will present a series of works at the Acme Project Space that explore ideas around the materiality of paint; its voluptuous, visceral, body-like character in relation to the inherently intangible nature of the digital. The paintings investigate notions of liminal contemporary spaces, considering those indistinct areas between the real and the virtual. Drawing from the history of painting, particularly abstract expressionism, Price seeks to explore the vitality of matter and the agency of objects through the visceral nature of paint, gestures, pours and stains. The limitless possibilities of the materials invoke the chaos of the universe and its clusters and constellations, that in turn are mirrored in the boundless connections and structures of the internet. 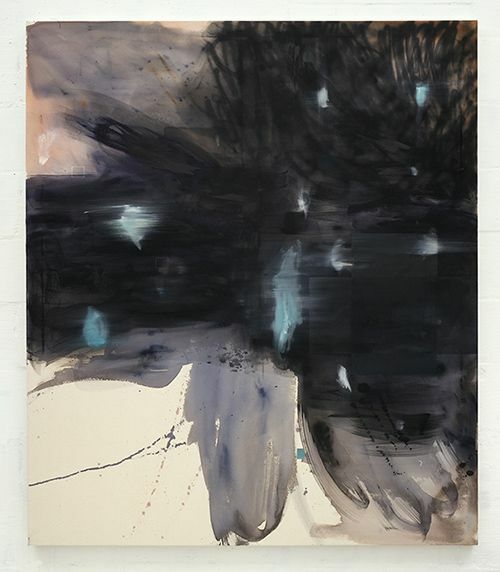 Price describes her paintings as âgrubby objects in the world, in relation to the impalpable nature of the digital.' Clare Price is currently studying for an MFA in Fine Art at Goldsmiths, University of London and has participated in numerous group shows as well as solo shows at Charlie Dutton Gallery and Studio 1.1 in London. Price has completed residencies at Joya, Los Gazquez in Spain and will be embarking upon a collaborative residency with Howard Dyke at Lubomirov Easton in Deptford which will culminate in a show in autumn 2014. Clare Price was selected for the Jessica Wilkes Award in March 2013. The award provides an artist with a free studio and grant to enable them to devote more of their time to their studio practice. The award, worth £10,000, is made to an artist selected from applications from current Acme studio tenants.